Whether you believe it or not; it isn’t something to argue about. After all, modern medicine takes its refinements from the roots of herbal and traditional concoctions. Traditional healing and the use of herbs in Nigeria and Africa at large is an ongoing and widely accepted practice even for the most learned at heart. Why do we seem to fall back to our roots, you might ask? The answer is quite simple; there is a cure, an unadulterated cure hidden within them. In Nigeria, traditional healing transcends beyond drinking the concoction of a few cooked leaves from the bush, or the scrapings from the back of a tree, but it is a spiritually cleansing process with lots happening behind-the-scenes to cure the ailment. Traditional healing in Nigeria is not superficial, but a solution to break hold of the ancestral ship and cultural indebtedness of the one that is sick. Simply put, it is paying homage to the neglected regardless of your faith or understanding of the processes involved. At the end of it all, health is attained and enjoyed. Even though we are shying away from what we are made of and from where we came, we can’t deny that at some point in time, we all rushed back to our roots when the problem defied modern and scientific reasoning. 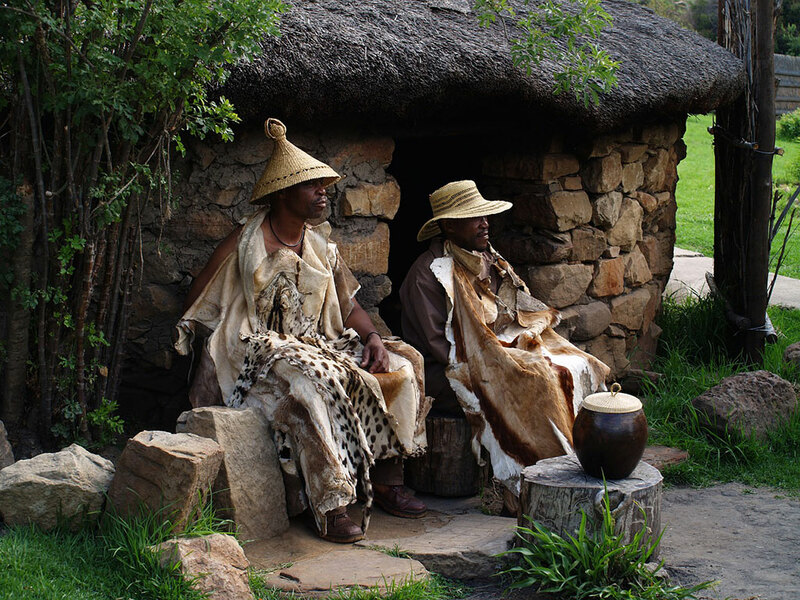 Traditional healing practices have been around since the continent came to be; how it all started, we may not know, but these practices were used to abolish and drive away negative energy that caused sicknesses in our bodies. Furthermore, our belief and acknowledgment in the superior being tied our healing practices to our souls. At one point in time, every region of the world had a link to their traditional ways to cure and offer treatment to the sick- from the Chinese, Arab, the Red Indians, to most parts of South America. It is the same passion that Nigerians and Africans are using for a holistic and hands-on approach to curing medical ailments that we have in Africa. While some people might not understand it and call it all sorts of names, we believe that diseases are caused by when the destiny of the ill person is not in alignment with the ordained path; either morally, spiritually, physically or emotionally, and until their path is aligned, they will remain ill.
There’s no complete literature as to the "science" behind it but lots of methods are employed; from divination, incantation, spiritual baths and cleansing and in extreme cases sacrifice and appeasement of the gods. Don’t ask who gets the gifts, health is the ultimate reward. From the desert terrains of the north to the wetlands of the south, healings take place daily. One of the most sought-after traditional healings across the country is for malaria. Most people still go back to taking herbs even after a visit to the hospital, as there is a belief that the drugs are just not enough. In the northern parts of Nigeria, the repeated occurrence of malaria is treated using the leaves of the mango tree and that of the neem tree which are boiled together, allowed to cool and the sick child or adult is given a cup full (about a 100ml) twice daily at most for seven days or more until they are cured. As a matter of fact, the leaves are not disposed of immediately but used with some of the water in bathing. The stalks are used to gently whip all over the body during the duration of taking the concoction. This way the body absorbs the cure through the skin and is ingested for a more hastened recovery. Another very effective cure is for stomach ulcers in the Edo parts of Nigeria. With this, the herbalist pounds together in a mortar locally grown bananas, pineapple, and sandalwood as finely as possible, water is then added to the mix to form a slurry which is drunk at regular intervals. This has proven effective not only for ulcer patients but also to help combat internal body heat and helps with insomnia too. The motivation for people indulging in traditional healing is that the healers understand the ailment from a different perspective while doctors are textbook driven, putting it mildly. Furthermore, knowing the source of the medicine and how it’s made is another reason why people seek out these cures, and lastly, it is affordable. Although some healing processes can be expensive, the truth remains that when compared to modern medicines, the difference is glaring. One very effective cure from the western part of Nigeria is called agbo in Yoruba. This is a mix of different herbs, stems and fruits to cure sugar problems in the body and even piles. Does it work? The people tell us yes; because, in addition to preventing sugar problems and piles, it has also been proven to work for waist pain, dysentery and even unexplained back problems. One can’t deny that at the turn of the century, traditional healers and spiritualists had a tough time forging ahead because of religion, morality and the awareness of hygiene but! There is a big but, people are still going back to their roots for cures, and traditionalists have embraced the teachings of using a more hygienic approach in producing the concoctions and mixtures given to their patients. Traditional medicines are now packed in bottles with seals and are even government approved. In some areas, the authorities now recognize the potency and potential affordability of local herbs as the treatment for certain ailments and do recommend them in modern hospital facilities. As to the belief that traditional healers were marginalized and had no clients, that is absolutely not true as they even work in collaboration with doctors to provide a more effective cure and treatment for ailments that have defied medical explanation. Call it witchcraft or culture, traditional healers and healing are embedded in our roots and Nigerians are not doing away with it any time soon.